Aoife O'Donovan is an American singer and songwriter based in Brooklyn. While she is best known as the founder and frontwoman of the string band Crooked Still, she is also one-third of the female trio Sometymes Why, and has appeared on the Prairie Home Companion radio program. Her collaborations have been numerous and stylistically wide-ranging, including such varied artists as jazz trumpeter Dave Douglas; Yo-Yo Ma, Stuart Duncan, Edgar Meyer, and Chris Thile's Goat Rodeo Sessions band; the Boston Pops Orchestra; and Olabelle. 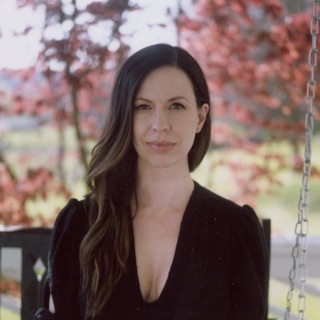 She has become a go-to vocalist in the American contemporary folk, bluegrass, and progressive Americana scenes, working with Jerry Douglas, Sarah Jarosz, Darol Anger, the Infamous Stringdusters, and Matuto. O'Donovan grew up in Newton, Massachusetts. Her parents were both musicians, and her father was the host of a Celtic music program in Boston. While in high school, she spent her summers studying traditional Celtic music and dance in Ireland. O'Donovan attended the New England Conservatory of Music and graduated in 2003. While there she studied contemporary improvisation. She also dreamed of recording her own album, and came up with a short list of producers. In 2001, O'Donovan was a founding member of Crooked Still. 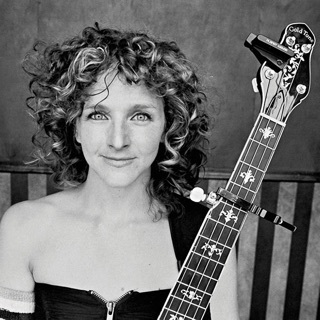 In 2003, she performed and recorded as part of the Wayfaring Strangers with Matt Glaser, Tony Trishka, Jamey Haddad, Jim Whitney, Andy Statman, and John McGann, as well as two other female lead singers: Tracy Bonham and future musical partner Ruth Ungar. In 2005 she formed Sometymes Why, the quirky "folk noir" trio with Ungar and Kristin Andreassen; they've recorded two albums. Meanwhile, after five studio offerings and a live album, along with international touring, Crooked Still went on an extended -- though reportedly temporary -- hiatus in 2011 so the bandmembers could pursue individual projects. 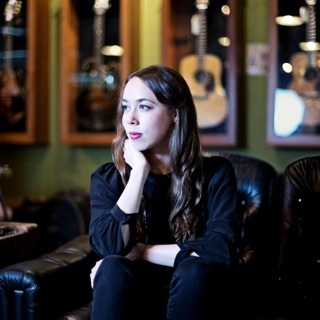 During the group's break, O'Donovan made good on her dream: she signed to Yep-Roc and cut her debut album, Fossils, with Tucker Martine as producer -- he was at the top of her college short list. The record was issued in June of 2013. O'Donovan toured relentlessly in support of the recording, headlining club gigs and playing music festivals internationally, and also assisted on the New York chamber's ensemble Brooklyn Rider's Almanac album.